Suomen Laulu (”Song of Finland”) is one of the oldest mixed choirs in Finland. Founded as a male choir in 1900, it became a mixed choir in 1907. 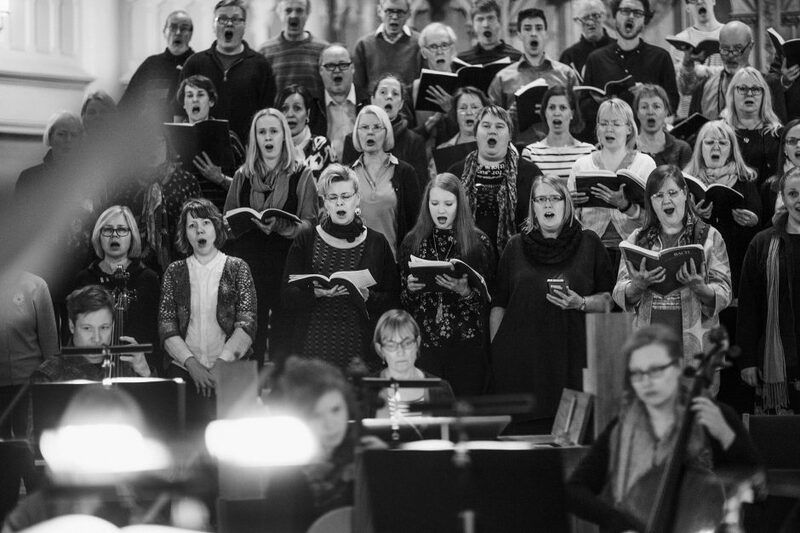 The choir was conducted for more than four decades by its founder, the renowned choir conductor and composer Heikki Klemetti. The current artistic director, Esko Kallio (b. 1974), has conducted Suomen Laulu since 2002. The choir’s repertoire consists of both a cappella works and compositions for choir and orchestra. Since 1921 the choir has maintained the tradition of performing the St. Matthew Passion by J.S. Bach every Maundy Thursday in St. John’s Church in Helsinki. Suomen Laulu has made several recordings, the most recent of which is the Christmas CD from 2015 with Respighis Lauda della Signore Nativita and some Finnish a cappella christmas songs. The choir also has its own series of publications, the ’Suomen Laulun Ohjelmistoa’, which contains several of the finest pieces of Finnish choral music. I would like to know how I can buy tickets for this concert which takes place on the 24th of March. Suomen Laulu concert tickets can be ordered by filling in the form under tab ”Puoti” and ”Lipputilaukset”. Or you can always contact puheenjohtaja@suomenlaulu.fi for more information.